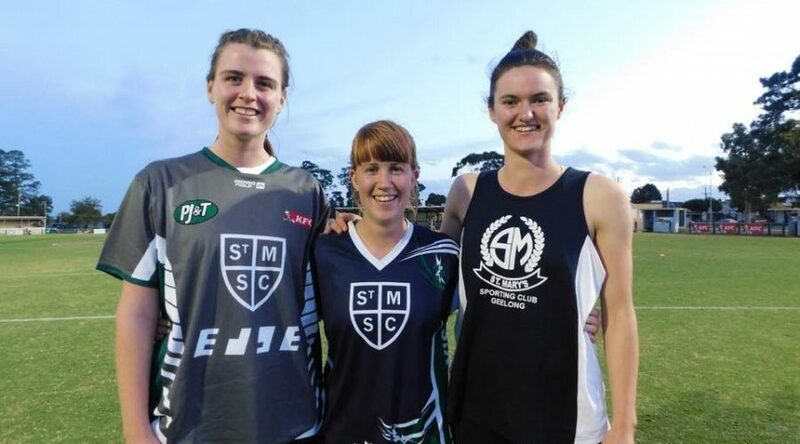 St Mary’s has had two successful seasons of female football in the AFL Barwon League. We have had 120 females participate across U12s, U15s, U18s and Seniors in 2018 and looking to consolidate our female football program for 2019 and build on strength, conditioning and football skills relevant to each age group. We have engaged experienced and skilled coaches, trainers and team managers to look after these teams and steer them to achieve a healthy and happy sporting environment for young women to play football. Geelong will have an AFLW team in 2019 which includes four St Mary’s females, two of these girls started their football journey as players at our club. Our program starting at U12s provides a great avenue for any girl who strives to chase the elite pathway through to VFLW and AFLW but is equally a great opportunity for someone just wanting to try a new sport. Given female football is in its infancy in our region, we encourage any young women, no matter their skill level, to come and give forty a go! If you have any questions about anything, you can contact Amanda Flynn amanda@smellies.com.au or call 0425 718 094. Alternatively, Kevin McMahon on kevin_mcmahon@worksafe.vic.gov.au or 0457 507 202.